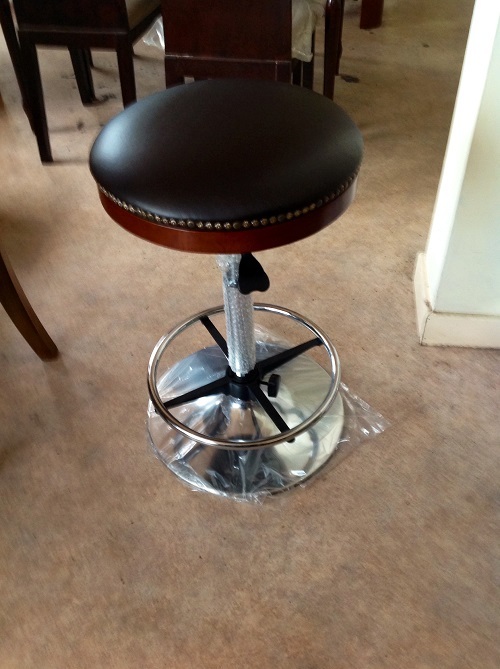 This swivel bar stool is made from metal and wood and has a leather upholstered seat. It swivels all the way round and the seat height can also be adjusted. It swivels all the way round and the seat height can also be adjusted.